The meaning of Isla is 'Geography: the River Isla in Scotland.' The name Isla comes from the Scottish origin and is primarily given as a female name. 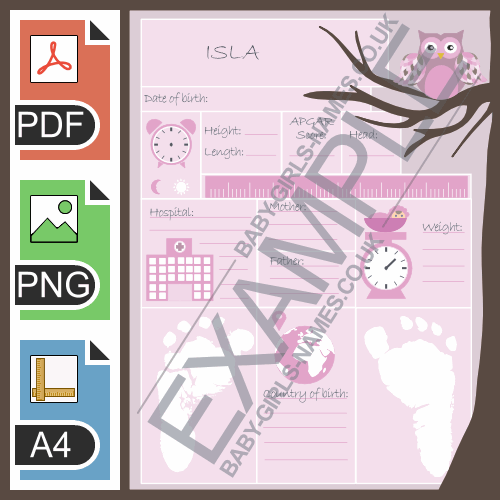 Purchase a birth chart and record your baby girls arrival! 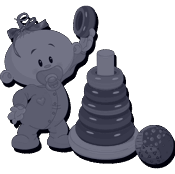 The meaning of Helenka is 'Light.' The name Helenka comes from the Greek origin and is primarily giv.. The meaning of Onesima is 'She who is burdened.' The name Onesima comes from the Latin origin and is.. The meaning of Divone is 'Divine one.' The name Divone comes from the Celtic/Gaelic origin and is pr.. The meaning of Caitlynn is 'A form of Caitlin, Kaitlan.' The name Caitlynn comes from the Irish orig.. The meaning of Nanine is 'Variant of Anne: favor, grace.' 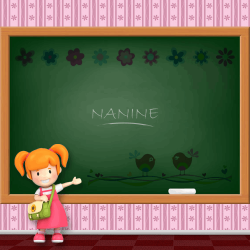 The name Nanine comes from the French orig.. The meaning of Traviata is 'Straying.' The name Traviata comes from the Italian origin and is primar..